Optimises space while promoting good posture. 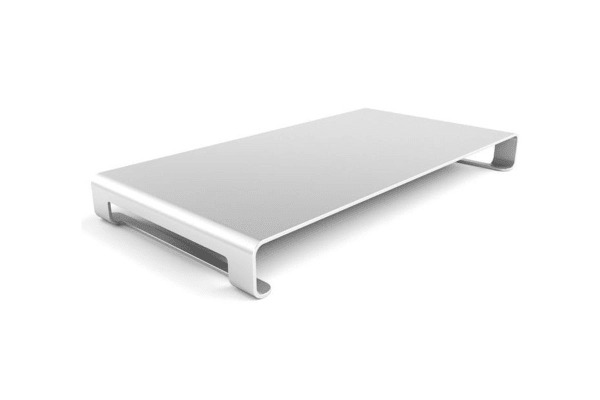 The Satechi premium aluminium Monitor Stand is the perfect accessory for your monitor, laptop, or all-in-one computer. 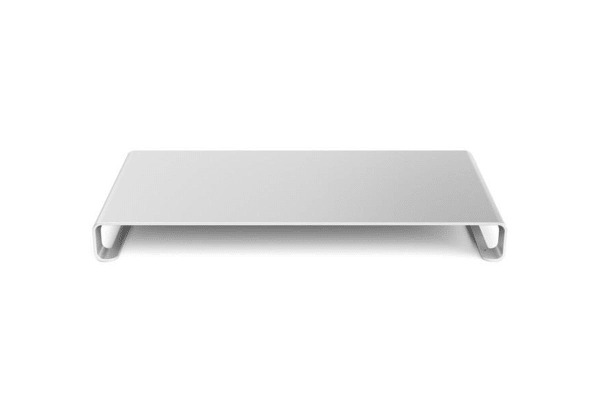 The stand simplifies and organises your desk, while maintaining a clean, functional style and promoting good posture to make working at your computer easier! The stand’s strong aluminium alloy can support a large variety of devices including a computer monitor, laptop, all-in-one computer, printer, and other devices up to 14 kg. Designed to match Macs, iMacs, and MacBooks, its metallic silver finish stylishly complements Apple computers and products.